These days everyone’s an artist. With Pinterest and the boom of bloggers everywhere, everyone has a do-it-yourself tutorial to share, including silk screen printing. People now flock to places like Michael’s and Hobby Lobby, all for the sake of creating. Even for those who don’t have an ounce of talent in them, the idea of working on an art project of any kind allows a sense of serenity. Whether it is something complicated such as building furniture, silk screen printing, or something as simple as baking a cake, the DIY boom has instilled in people an artistic itch they’re desperate to scratch. However, with any new endeavor come some challenges. 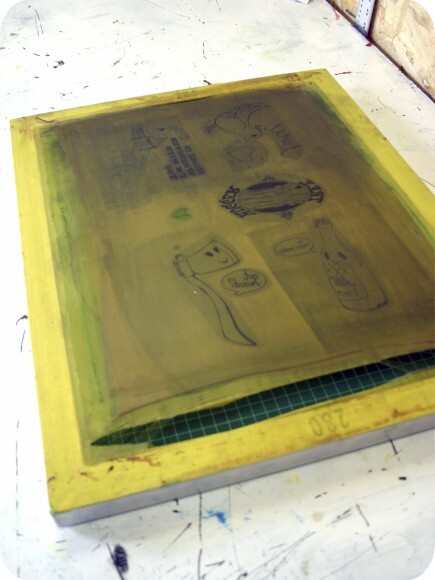 For example, while silk screen printing might seem easy enough, it requires a lot more than just some paint. No matter if you’re just starting out or have a budding business you will want to take a look at the five most common silk screen printing mistakes and how you can possibly avoid them. a second and really take your time to understand what it is you are doing. Start by ensuring that you have everything you need for a successful print job. This includes a printing tray and screen, the proper paint supplies (drawing fluid, screen filler, screen painting ink), a paintbrush, squeegee, clamp, newspaper, and cardboard. Then be careful to spend time centering your image on the desired print job, before carefully using only the amount of paint necessary. While getting to enjoy your finished product as soon as possible might be exciting, it is important to enjoy the process as well. Part of taking your time with screen printing is checking that all of your materials are in excellent working condition. Spend time to look at your screen and examine it for any tears, wear, and clogged pores. Double check your paint to be sure that it has not begun to clot, making it difficult to work with. Using paint that is old will make it nearly impossible to spread, not to mention that it will likely dry too quickly, causing the print to become tacky and not adhere properly to the print subject, which can ruin the refinement of the print. Likewise, keeping up-to-date with not just your material but with the times will help you stay validated in your work. Especially for those who view silk screen printing as more than a hobby, it is important to offer your clients the best in their printing solutions. When you feel comfortable making the leap, take a look around at the latest printing machines to see what you can do to better your product and ability. This goes with having patience and taking your time with things, but not waiting for your projects to dry is a bad habit to get into. Paint takes time to fully dry. Even if it has been 24 hours, and it feels dry, there’s a good chance that it is not. Make it a habit to wait a full 72-hours before putting your print job to use or sending it out to a client. This will make certain that everything looks great and will represent you and/or your company in the mean time. For those starting out in the silk screen world, and looking to make it something of a job that will pay the bills, it’s important to remain knowledgeable about the job. Many companies will suggest 110 or 125 mesh for basic jobs and beginners. While this will get the job done, it might not get it done as well as something with a higher mesh count. Understanding that different meshes will get you different results will help with the quality of the work you put out. If you are considering becoming a professional silk screen printer then you you’ll need to look into the different kinds of mesh and what types are necessary for different jobs. Surprise, surprise, the logo industry is constantly changing. It evolves between simplistic to complicated, colorful to basic. What this means for your potential business is that to remain validated within the community, you will need to keep up with the industry trends. You will need to not only know what the trends are, but be prepared to familiarize yourself with them. Taking classes to improve your skill set can help set you apart, while YouTube videos can give you some insight for free. Either way, keeping up with the trends will help ensure that your business flourishes under the weight of change. Have a great design but you’re nervous about doing it yourself? Contact a professional silk screen printing company to get your design printed, today! Know of any other silk screen printing mistakes?